Bogotà (Agenzia Fides) - The Secretary General of the United Nations, António Guterres, has appealed to the Colombian government and ELN (Ejército de Liberación Nacional) to end "armed actions" and re-launch "serious and constructive dialogue, in order to satisfy the expectations generated by the commitment of the parties to reach a solution to their conflict through political means as soon as possible". Guterres' declaration was made at the end of his two-day visit in Colombia, where he was able to see firsthand the progress in implementing the agreement with the Farc (Fuerzas Armadas Revolucionarias de Colombia). Regarding the peace process with Eln, Guterres appointed his representative in Colombia to "take all necessary measures to facilitate the return of the parties to the negotiating table". Guterres’ visit to Colombia, Saturday 13 and Sunday 14 January, was the first of the UN Secretary-General in a Latin American country since he took office on January 1, 2017. 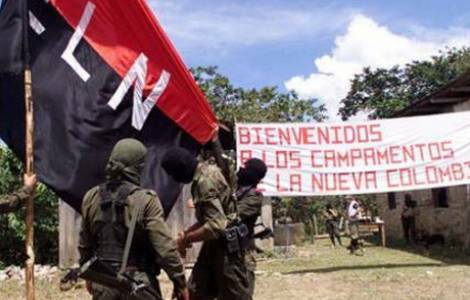 His request came a few days after the armed group ELN resumed the violent actions against some infrastructures, thus closing any possibility of prolonging the ceasefire established at Christmas 2017.